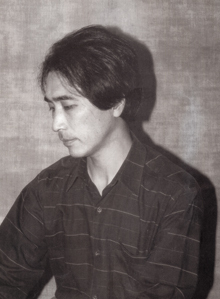 The YAMAUCHI TATSUO Art Center is dedicated to YAMAUCHI TATSUO (1950-2013). YAMAUCHI Tatsuo was born in Hokkaido,Japan. YAMAUCHI's art is believed to have been inspired by the beautiful nature of his hometown,KAMIOBORO. He studied painting at the self-taught. Unique technique of scraping the canvas is the characteristic of his paintings. Sudo of art dealer who recognized the picture of Yamauchi. Since then,until Yamauchi dies,it continued a three-legged race. Sudo was the most understanding person of Yamauchi. YAMAUCHI TATSUO Art Center,was created by Sudo. Here,you always seen his picture. Draw a masterpiece "an Old Wise Man and a Boy"
Gallery Time moved to Fujisawa,Kanagawa Pre. It have passed 30 years since I started as a sole art dealer of YAMAUCHI TATSUO. I am happy to share YAMAUCHI's world with all of you when you visit at YAMAUCHI TATSUO Art Center.